The Cruise Parade is Huge! 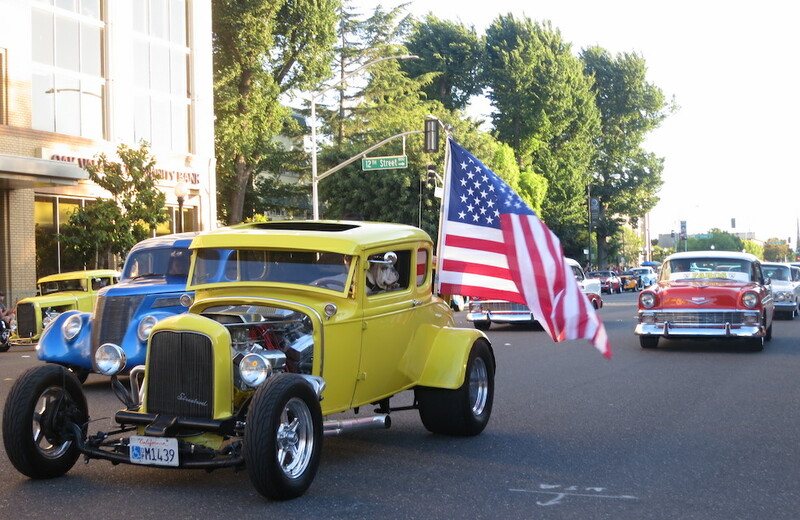 Friday night June 12, the cruising days are back with the registered cars of the American Graffiti Car Show will be parading on the original cruise route from 7 – 9 pm. You can see all your favorites as they loop the circuit downtown and then take a drag up McHenry making a big U turn at Orangeburg. There will be some great car watching. Best of all, the classic cars will be directed back in to downtown Modesto at the end of the parade where the streets will remain closed, the music in the plaza with Johnny Rocket and the Thrust will play until 11 and there will be food and drink specials at many of the restaurants downtown. Important Note: The Cruise Parade will start at 5 Points this year and the intersection of J and McHenry at the Lucas Plaza Statue. Ceremony will begin at 6:30 and the cruise starts at 7 pm – June 12 Only cars registered to the Car Show are allowed to participate in the Cruise Parade.